The Spanish Pyrenees: Rugged, unspoiled, little tourism, fresh local products and lots of sun hours. From here we organise active holidays for young and old. Our base is the village of Perarrua, where you will find the different accommodations and our own Chill-Outdoor Café and mini-camping. 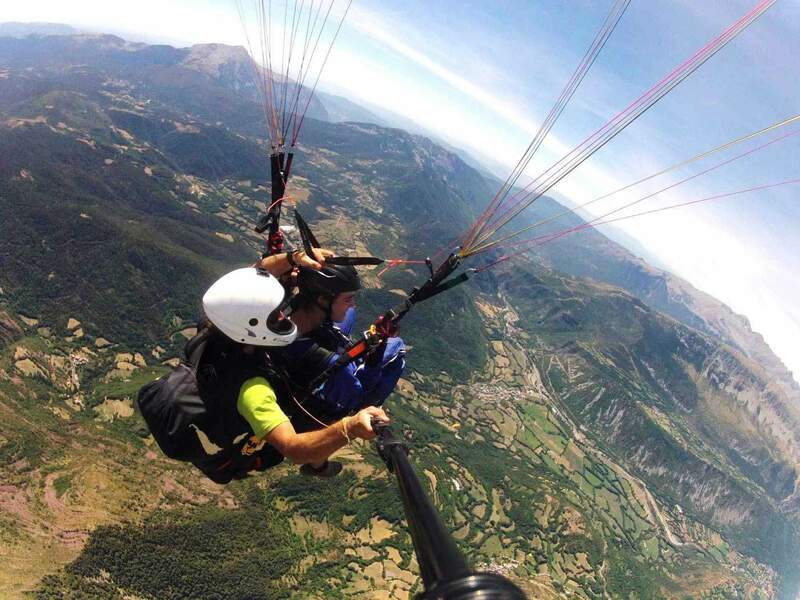 We also offer a number of all-inclusive package tours, including multi-day MTB tours, a paraglide course and several hiking trekkings. 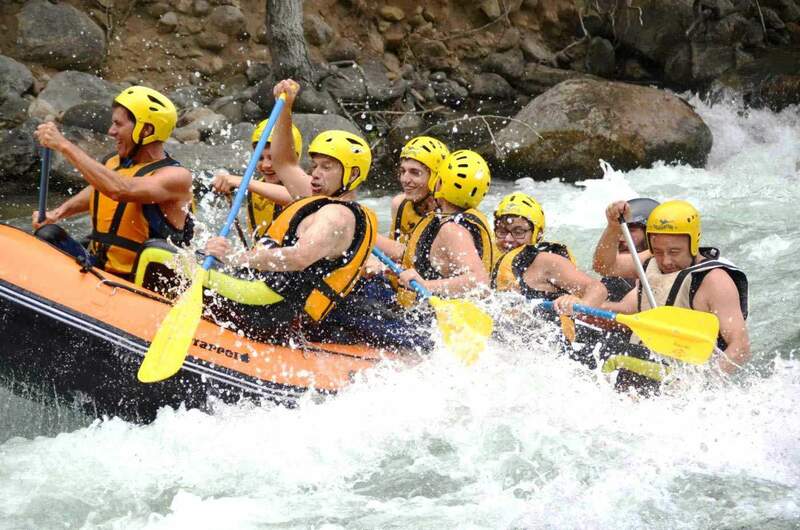 In addition, we also rent out a number of separate accommodations near us.
' 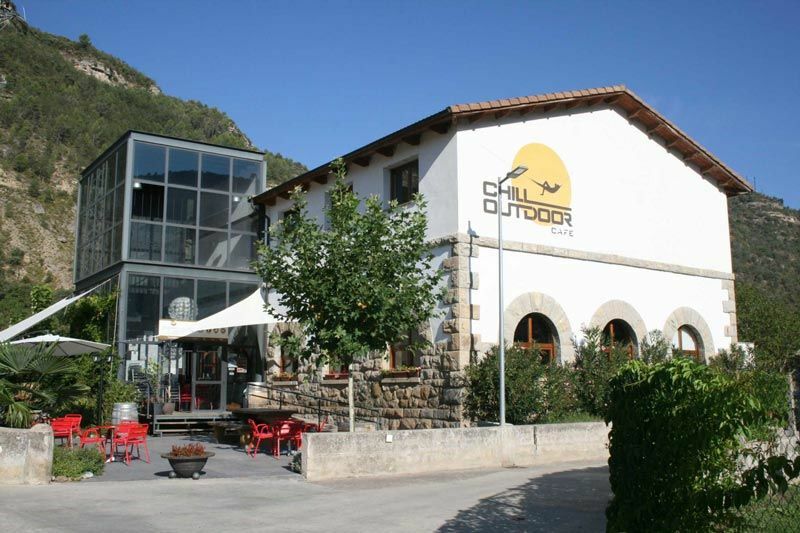 Chill ' stands at Chill-Outdoor for enjoying the combination of good food & drink, relaxing on beautiful places in nature and taking leisure trips in the surroundings of our village Perarrua. ' Chill ' also means that you don't have to worry about anything during your stay, everything is arranged for you! Are you curious what chill-activities we have in store for you? 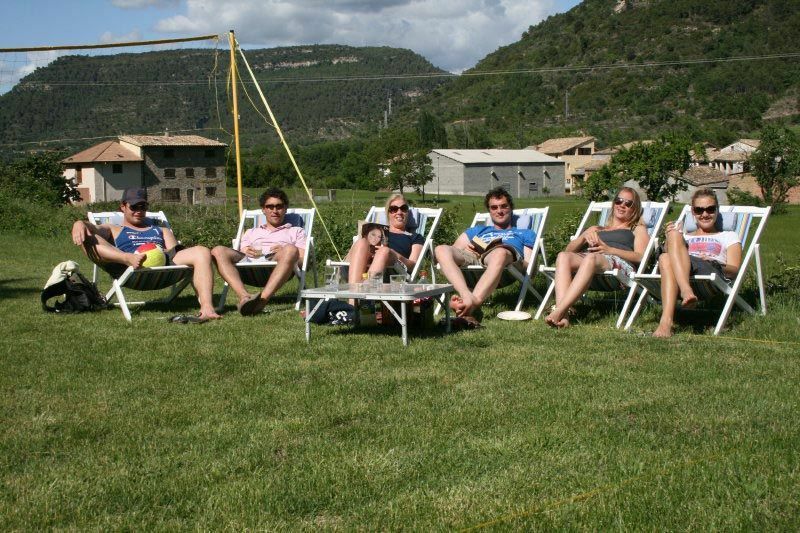 You can visit us in the Spanish Pyrenees for an active holiday at every level and with all ages. 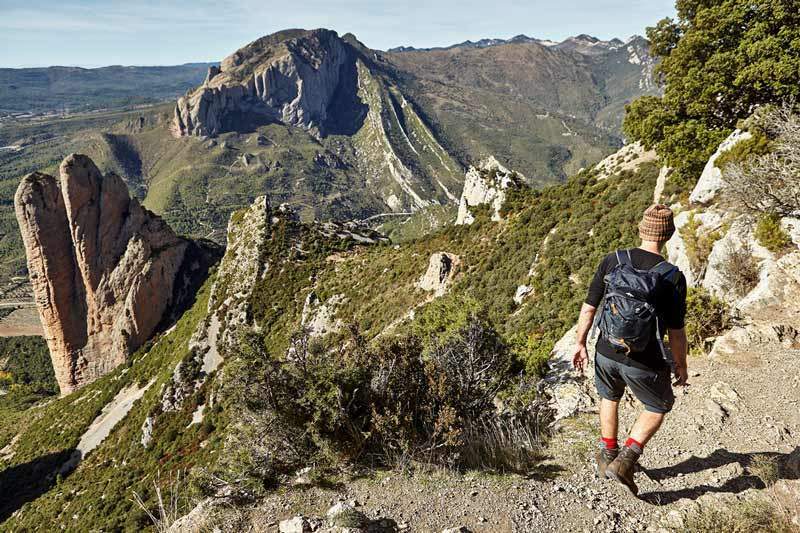 In collaboration with five local outdoor companies we organize hiking, canyoning, hydrospeed, kayaking, mountainbiking, horse riding, paragliding, rafting, rock climbing, via ferrata and cycling. 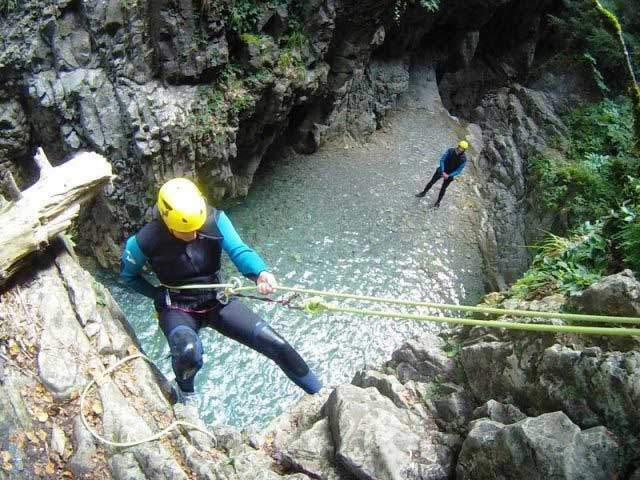 Which Outdoorsport does you want to undertake? We are the founders of Chill-Outdoor: Jochum van Krimpen and Judith Vastenhout. We both studied in Utrecht and where we also got to know each other. We are enterprising, cheerful, caring and sporty. For us it is important to enjoy life and our freedom. 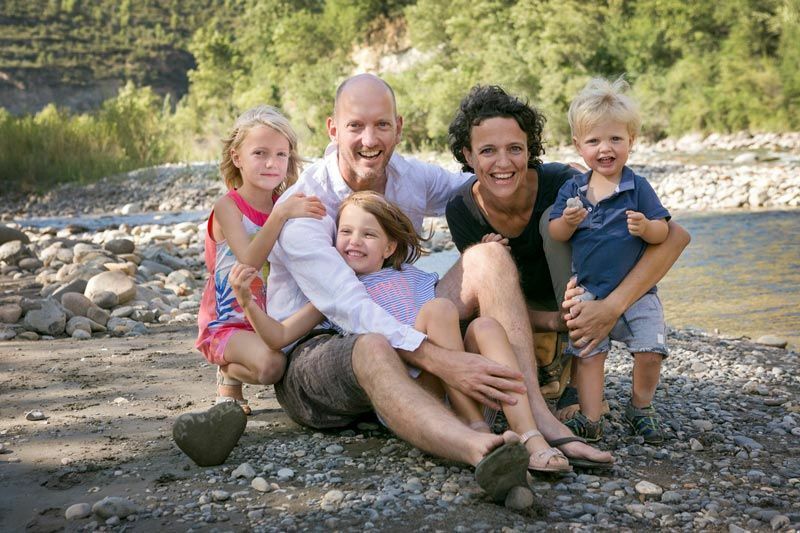 This means for us: To live our dreams, to explore the world together, to have good food & drink with our friends and family, meet new people and play a lot outside with our children Lotte (2010), Meike (2012) & Bram (2016). 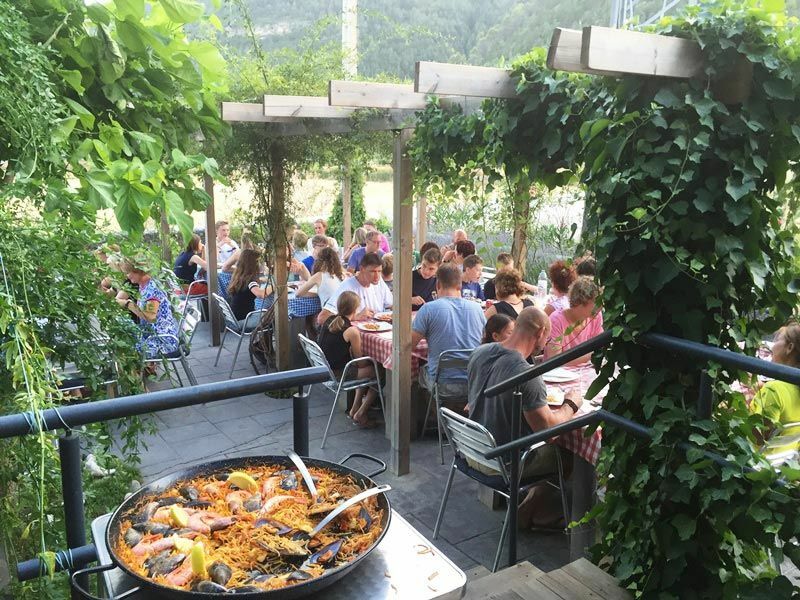 We organize vacations for everyone who enjoys an active holiday and at the same time wants to enjoy good food & drink, good company and the authentic Spanish outdoors. You can come to us with your children, with your partner, with friends or individually. 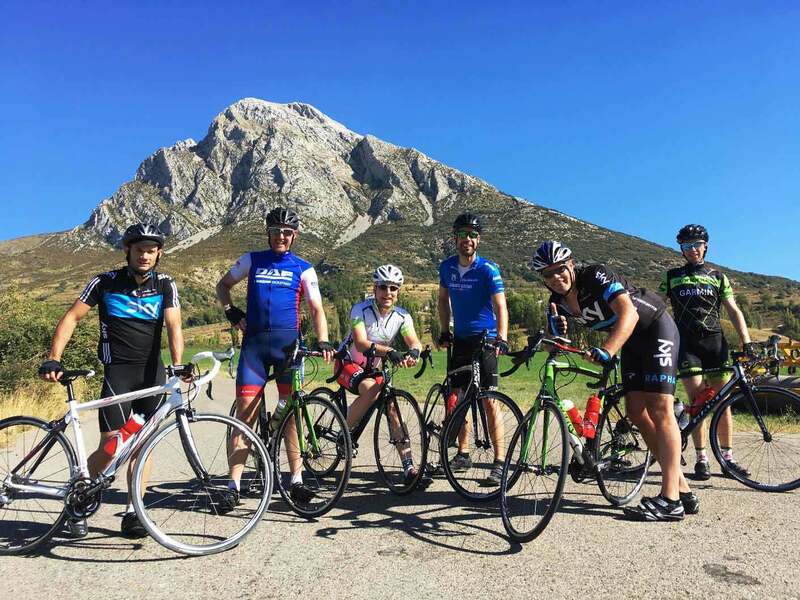 We also arrange group packages for walking and cycling clubs, groups of friends, associations, companies and coaches. Our Chill-Outdoor Café is located in a central location in the village, where we take care of the breakfast and dinner of our guests. Also regularly the villagers come along for a cup of coffee or homemade tapas. 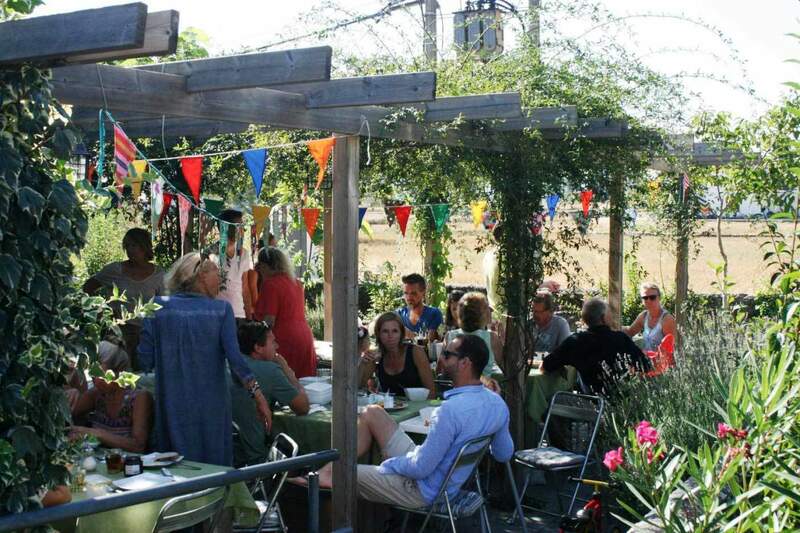 The café has a large terrace with lots of flowers and plants, lounge benches, parasols and a large pergola. Inside is a cosy living room with a sofa, long tables and a wood-burning stove. Here you can relax, read a book or do some games. Request information or contact us? Call, app or send us a message and you will get response within 24 hours.